I am a self-made, confident girl with a great sense of humor having a positive outlook towards life. I have an MCA degree from UPTU university. I am current working as a Digital Marketing executive for a Pvt. ltd company in Ghaziabad. I intend to pursue my career after marriage and looking for someone who will appreciate living with a progressive, independent-minded woman. I love reading books and I am also a stickler for cleanliness. I also love spending time with my family and friends as well. As well I also enjoy travelling, sight seeing, listening to rock music, reading all the latest fiction novels. Hi, I am putting up this profile on behalf of my daughter. My daughter enjoys Dancing, Photography, Learning New Languages, Nature and Travel / Sightseeing (loves to explore new places). We are from Delhi / NCR. Her friends call her as Affectionate, Caring, Creative, Intelligent, Kind, Optimistic, Passionate, Respectful, Sweet and Thoughtful. She is very cheerful and lively. Note: My daughter is shubh mangli (nirdosh) . The computer softwares / online websites show her as manglik which is not the case. If you are really interested in the profile , we can arrange the two pandits to talk amongst themselves. Family : Her mother is a classical choreographer and is running her own independent academy, father - is employed with TATA Motors heading Rajasthan as Divisional Manager and has a brother who is employed with Convergys India into IT Service Strategy.Education : She did her B Tech in Computer Science from Amity University Noida and Masters from ICFAI Business School Hyderabad. My daughter has done MBA. She is working in Air India in Delhi as a Air Hostess. Earning 8 LPA. She is very fair, slim and beautiful girl. We are seeking B.Tech / M.Tech / MBA / MCA / BCA & working in Government Job / MNC. good, simple and educated Jat families and Nearby Delhi / Noida / Gurgaon Matches. 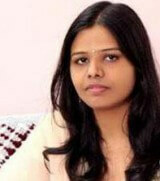 She has done MBA, currently working in MNC as a Assistant Manager.Her parents are no more. Two elder sisters who are married. We are looking for MBA/ B.tech, working and good family for matrimonial alliance. My daughter has done B.Sc , MBA , Phd Appearing , currently working in Mumbai as a Assistant Professor.We are looking for professionally qualified , working and h'some match for our daughter. She is sweet natured, smart, respectful and has a good sense of humor. She is convent educated and B.Tech (Mech) and M BA (Finance) from reputed insitutions. She is a Credit Manager & working with a reputed bank. Father is a professor and mother is home maker. Her elder sister is doing Ph.D. and is married to a IT professional.Younger brother is studying. She belong to a nuclear family of five members with values intact. !!!#!!! She is soft spoken and calm person. She has completed B.A. from Lucknow University & has also done Air Hostess course from Frankfinn, Lucknow. She is currently working in a Retail Sector in Lucknow as a Store Manager. Father was a govt. employee & has expired, Mother is a home-maker, She is having 2 younger brothers of which one is working in Taj Group of Hotels & the youngest one is in retail sector along with her in the same office. Looking for a well educated /professionally qualified, self made boy from an educated family. B.A, B.Com, B.E/B.Tech, B.Pharma, B.Sc, BL/LLB, BAMS, BHMS, CA, CS, ICWA, M.A, M.Com, M.E/M.Tech, M.Pharma, M.Sc, MBA/PGDM, MBBS, MCA/PGDCA, ML/LLM, M.D., Ph. D / Financial Services/Accounting, Advertising Professional, Agent, Travel/Ticketing, Actor/Model, Architect, Banking Professional, BPO/ITES, Journalist, Corporate Communication, Agra, Aligarh, Allahabad, Ambala, Amethi, Ayodhya, Bareilly, Chandigarh, Etawah, Faizabad, Faridabad, Ghaziabad, Panaji. !!!#!!! 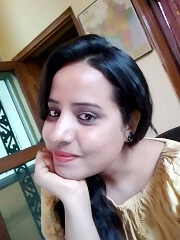 She has done B.com , currently working in private sector as a computer profession.We are looking for holding masters degree , working and decent match. My sister has done B.Tech From G .L Bajaj Institute of Technology & Management & MBA From IBS Hyderabad. 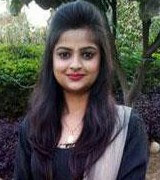 She is very active, modest and a lively girl.and working in Mumbai with one of the leading MNC . She has positive attitude towards life. She is a blend of modern and traditional culture. She believe that a happy life depend on mutual understanding and faith among the partner. She has good ethical and moral value with modern outlook.We belong to a well educated and reputed family living in Saharanpur Loving father who is working as a Professor in Meerut collegeand Mother is a Professor in degree college Saharanpur.!!!#!!! She has completed B.Com (Honours), MBA (finance), Stenography Diploma & French, Japanese Language Learn. 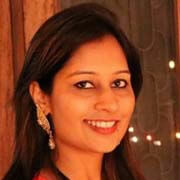 presently she is working in Gurgaon as a Consultant in Japanese MNC Company. her earning 8 LPA. I am working in Central govt. in Health Department. my wife is a house wife. my eldest daughter is married and working and my one younger son is MBA educated, he is a Businessman. we belong to Gaur Brahmin / Bhardwaj family and our own house in Delhi. We are searching for equally qualified, working and Delhi/ NCR match. He has done B.Com, currently working International Tractor Limited as a Accountant in Private Sector. Earning 3 LPA. He is good looking, kind, affectionate and positive thinking towards of life. We are looking for a well educated, working, good looking and Haryana/Delhi/NCR match for matrimonial alliance. Sr. manager, I have done MBA from IIM. I lead the growth strategy for the Shopper Practice regionally and provide stewardship to the Shopper community from a concept to a practice driven approach to create fully integrated solutions to impact our clients. We are looking for a suitable match for me. I have done B.Tech, have own Business (Jewelery Shop). Earning 20 LPA. I am smart, decent, handsome, down to earth looking for a smart, good looking professional. Looking for well educated beautiful bride to match intellect and values. Well Educated, Homely and U.P West/Delhi/NCR Profiles. Agarwal Families can contact us for matrimonial alliance. I have done B.Tech Working in business development executive Earning 6 LPA. I�am co-operative, loving, caring and good looking. I like reading, travelling, listening music and watching TV. I� am looking Educated, Simple, fair, beautiful, good, simple and Agarwal families can contact us for Matrimonial purpose, Any location matches. I have Graduate in finance & economics, I own an advertising agency called SUTTRA COMMUNICATION INC. (integrated communication solutions) & Partner to legal consultancy firm called SUTTRA CONSULTANCY. looking a Sikh, Jain / Bhayander, Mumbai, Navi Mumbai, Thane matches.!!!#!!! 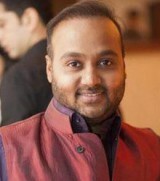 He has done MBA, presently working in Assistant Manager. Earning 5 LPA. He is kind, hard working and fun loving. He likes watching movie and tracking. 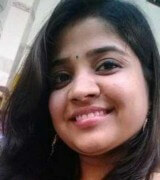 We are looking for Professionally Qualified, fair, slim and All U.P/Delhi/NCR profiles for match. I love adventure & like to take challenges in life. being a national athlete i have deep interest in sports, Also in social work & cooking. I have done B.tech, presently working as Bank Officer. Earning 4.5 LPA. I am looking for someone who is caring,well-educated,beautiful /charming/attractive, family oriented,good sense of humor, Teacher/ Banker, good in nature & Meerut/ Delhi matches. Feeling tedious looking for a perfect Hindimatrimonial site? We can offer you with an immense number of profiles that are of Hindi speaking boys and girls for marriage. Our Hindi matrimony site is the most reputed matrimonial site and trusted by many. Your Hindi matrimony login will be a step taken ahead in enjoying the search for Hindi groom or bride surpassing all possible technical glitches. Our developers are working regularly to ensure this endeavour. Check out the available profiles of the Hindi brides and grooms before making your decision. Our Hindi matrimony profiles are contained with insightful info.